Tried to prepare Crispy Corn in restaurant style. It turned out good and my kids just loved it. 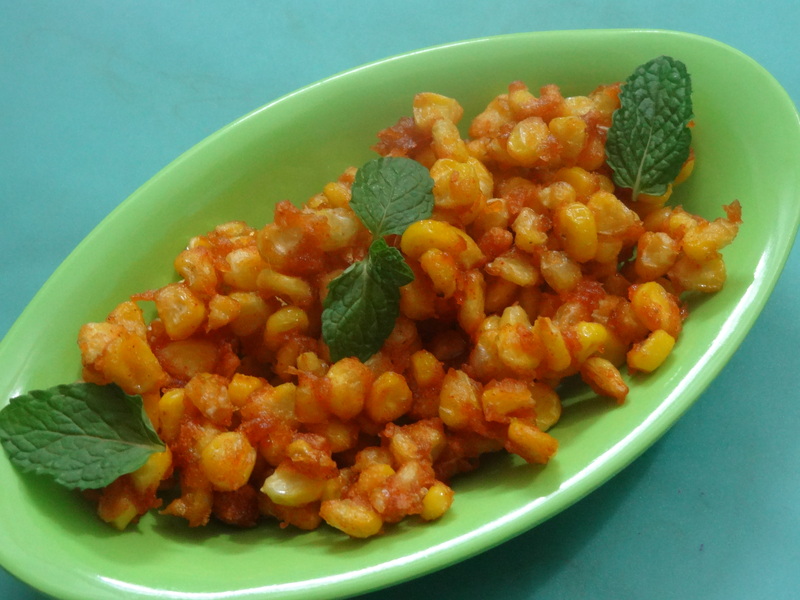 Cook Sweet Corn for about 10 mins. See that they are not over cooked. Drain water allow them to cool for 10 mins. Pour sufficient amount of oil in a deep fry pan & heat it. Meanwhile, to the sweet corn add the 3 flours, required amount of chilly powder, salt and jeera powder. Mix well adding little amounts of water if required. Once the oil is hot, drop the corn mix into oil and cook till golden brown. Remove the corn on to a paper towel to absorb excess oil. Serve immediately by sprinkling chat masala over it. Is your procedure same or any changes?